No matter, you are running a website or have a personal blog, you will need to drive traffic. If your website gets into the attention of people, they will interact with your site, and all this will result in improving the conversion rate. Online traffic comes through a variety of sources. 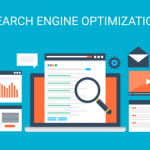 Among several techniques, SEO is an effective strategy to help drive organic traffic. While some business also runs the paid campaigns to get more clicks and improve online marketing strategy. But, some startups find it difficult or an expensive deal to include the SEO in their business. For them, here is a list of a variety of strategies to put into place as a source of traffic. Following this, you have to share information with your colleagues and friends. In short, it is a great way to promote your brand through influencer. In the digital world, it could be social media from where you can have a large number of audience. When implementing referral marketing for your product or services, make sure to give your customer a number of tools to promote you with, such as hashtag that is used on social media and email template to share your content. Additionally, give some attractive incentives including discount, free trial and many more. Content Marketing is a long term marketing strategy that can help you to build a strong relationship if done right. You have to develop consistent, relevant and valuable content to target the audience. Also, remember to add images, colorful graphics and statistics to make it appealing to your audience. When you write a guest blog on relevant sites, you will include links back to you, and this will end up by driving more traffic to a specific blog post or site pages. Invite others to guest blog on your website is another way to increase traffic. Keep these tips in your mind, and your website will become ready to achieve more traffic effectively. You can also get the assistance of digital marketing experts in increasing website visitors. At DigitalLabz, we are the one stop solution for your entire requirement of online marketing in Kitchener and surrounding areas. Whether you want to make your website successful with or without SEO, we can help you without hurting your budget. We are just one call away, let us make your business earn more.